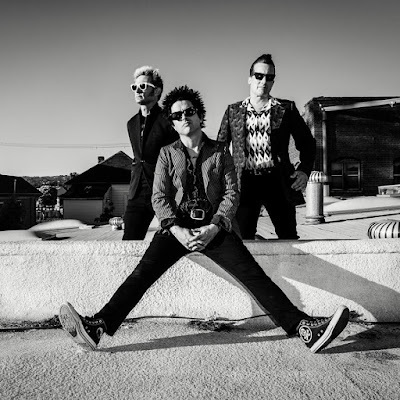 Green Day performed the “Revolution Radio” single, “Bang Bang”, on NBC-TV’s The Tonight Show Starring Jimmy Fallon on October 6 and video from the program is available. "It's about the culture of mass shooting that happens in America mixed with narcissistic social media," Billie Joe Armstrong said recently. "There's this sort of rage happening, but it's also now being filmed and we all have ourselves under surveillance. To me, that is so twisted. Currently playing dates on a rare North American club tour to support today’s release of their 12th album, Green Day will perform at music outlet Rough Trade NYC on October 7. To gain entry, fans must purchase the album in the store (not online) on the day of show. Sales will begin at 11am with doors at 6:30pm and the performance at 7pm. Green Day will next perform at New York's Webster Hall on October 8.